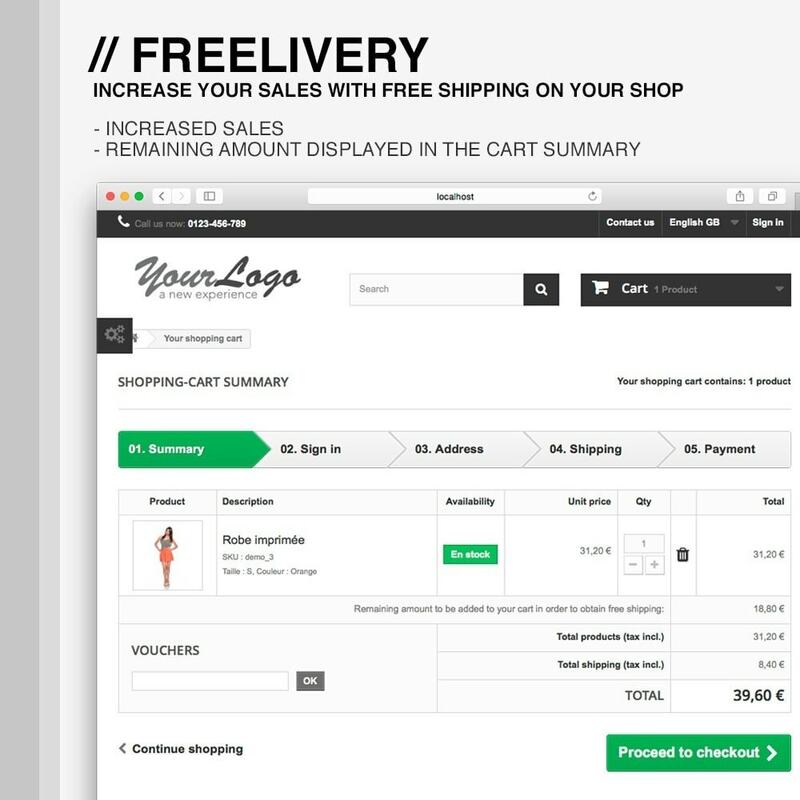 Increase your sales by offering free delivery to your customers. Often, the amount of shipping costs scares customers who abandon their shopping cart. Encourage them to finalize their order by offering free shipping. 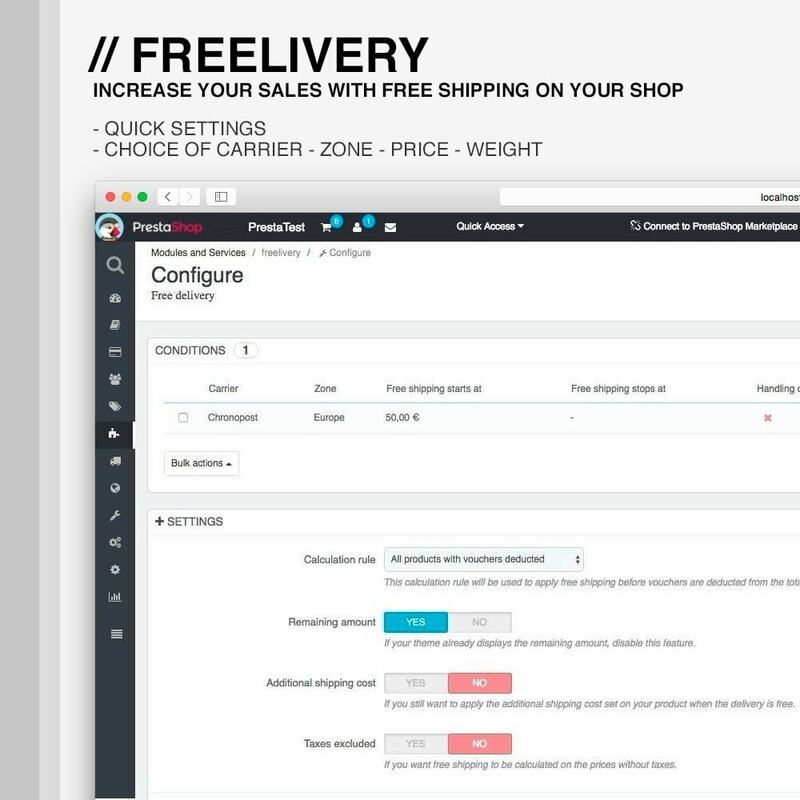 Increase your flexibility by setting your own free delivery rules: offer the shipping cost to your customers from a defined amount and/or order weight, for the zones and carriers you want. And this up to a certain amount and / or weight. 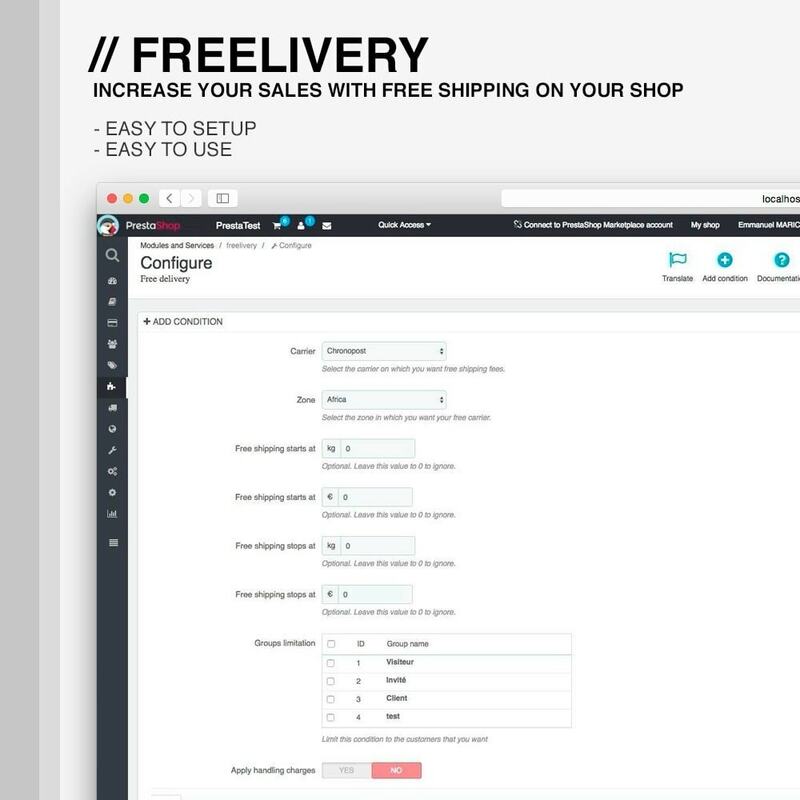 Create with this module as many free delivery rules as you want. 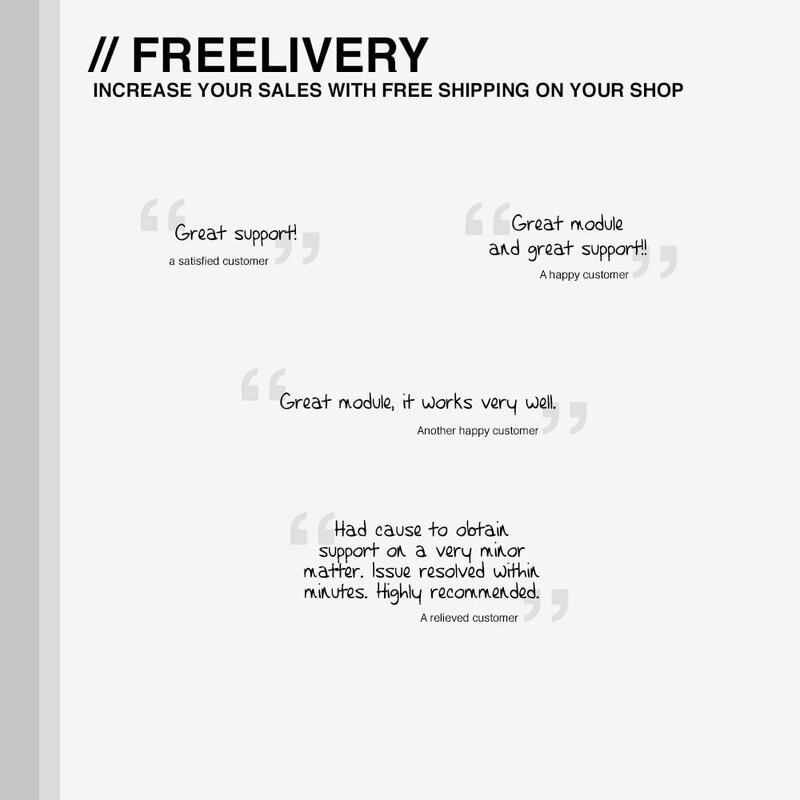 In the summary, indicate to your customers the amount remaining before free shipping. Encourage them to increase ordering more in order to access free shipping. If you have products with additional shipping costs, you can choose to apply these fees instead of free shipping. Similarly, you can choose to keep the handling fees. Do you want to offer free shipping to some customers only? Limit your rules to the customer group(s) of your choice. before or after the application of the discounts. Once the order reaches the minimum price amount and/or weight according to your rules, your customer will be able to select the proper carrier offering free shipping. Thanks to an information displayed in the cart, he will know the remaining amount before getting free shipping all along the way. Encourage your customers to order more to get free shipping on their order ! Installation and configuration are very simple. Full documentation is also available to guide you, step by step, without forgetting that I am available if you have any questions.